The Elderberry Walk development is situated in Southmead, Bristol, an area that experiences high levels of social deprivation. As part of a commitment to building efficient and sustainable communities, ENGIE has integrated well into the local area. 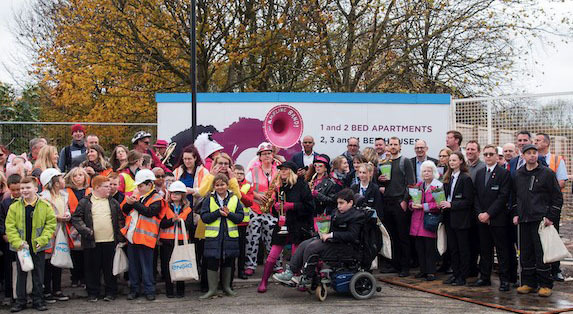 As the development progresses, the team has even been able to stretch the complied budget of £100k (£50k from United Communities and £50k from ENGIE) for social value activities, to deliver a social value impact of £300k in the local area. This is a testament to the efforts and input of the partnership’s dedication to community engagement and joint working practices. Social value activities are being undertaken in partnership with United Communities and the local community. These range from presentations and workshops at local schools, to volunteering at community centres and offering apprenticeships. These activities help to forge strong links with the local community and leave a lasting legacy.